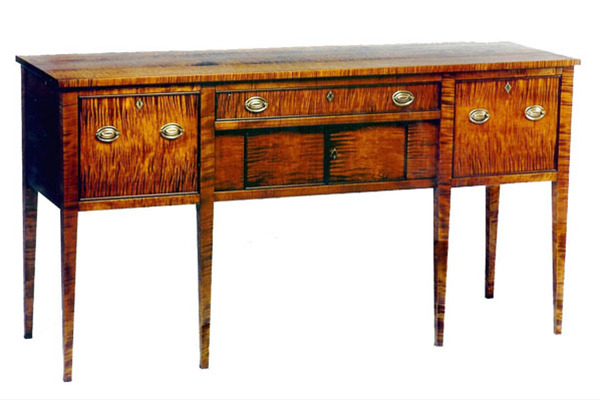 This is a custom sideboard copied from a photograph sent to me by a client. You see it here in stained curly maple with walnut trim details. The original was all walnut, probably built in Kentucky or Tennessee in the mid 1800's. By changing the wood to natural color and substituting different hand forged hardware, you can take it from very traditional in feeling to quite contemporary. 18" x 70" x 34"